Very recently I found myself in a revelationary conversation with a non-scientific colleague as we were planning our annual exhibition for the Maine Science Festival. We needed a display that would highlight the molecular biology work we do at MMCRI that would be exciting and comprehensible to a broad audience plus a related hands-on activity that could be completed in just a few minutes. Pulling from the expertise of the folks attending the festival, I proposed that we have a display on our use of 3D silk scaffolds in modeling cancer. One of the hallmarks of the cancer cells compared to healthy cells is reduced lipid content, so the hands-on activity could be a demonstration of dye solubility with the explanation that this is how we measure lipid content in our cell populations. Well, about halfway into the conversation I found that I had completely failed to convey A. the link between the silk scaffold models and the hands-on activity and B. the importance of dye solubility in highlighting specific structures and substances. Fortunately, my colleague asked me to take several steps back and was able to ask very specific questions such that I was able to reform my explanation for her. In the end, my idea was passed along, but the episode highlighted to me that despite all the opportunities I have to explain my science to both scientific and lay audiences I still need lots more practice. This past summer at MMCRI we had an excellent opportunity to think in great depth about how to present our work in a concise and comprehensible manner: we produced Science Sketches! A Science Sketch is a two-minute or less video summary of a scientific topic. I have seen examples of more universal basic scientific principles as well as very specific projects. All sketches start as an idea or concept that the writer wants to convey to their audience. The writer must decide who their audience will be, as this will dictate the vocabulary and the level of explanation that needs to be employed. Science Sketches has a great tutorial to help writers as they get started telling their stories. They recommend a 300-word script with no jargon that has been proofread by several colleagues and assessed using online tools that highlight terms above a given reading level. With a complete script, you can start putting together a storyboard that illustrates every sentence. The sketches generally utilize pen and ink drawing on copy paper or white board, but they can also employ cut paper shapes, building blocks, or other props to illustrate an idea. They can be made very rapidly and at very little expense as they are often filmed using a cell-phone camera mounted on a ring stand. The writer films him or herself drawing or moving paper cut outs, records his or her script, then uses video editing software to compress the video and match it to the audio. The writer can take as long as he or she likes drawing the images as they can be sped up to whatever speed is necessary using the editing software. Video summaries of scientific concepts have been around for a long time, and I am particularly fond of this trippy vintage recording of translation, but organizing an approachable tutorial that anyone can carry out is a novel model. Science Sketches arose at the Max Plank Institute of Molecular Cell Biology and Genetics in Dresden Germany as a collaboration between the institute’s postdoc program manager, Lisa Dennison, PhD, and the Hyman lab. More recently, Science Sketches has focused on improving their public engagement, so Liam Holt, PhD of NYU, became involved and helped them develop their science fundamentals video series. I found this summer’s workshop challenging but rewarding. I had to take a high altitude view of my project again after months of detailed experiments in order to highlight the key features of my work and keep my audience’s attention for the full two minutes. It also gave me an excuse to binge watch lots of science vignettes, making me feel really well rounded and intelligent for a day, as I decided how I wanted to construct my own video. Hope you enjoy! Notes from Up North: What is an IDeA COBRE? 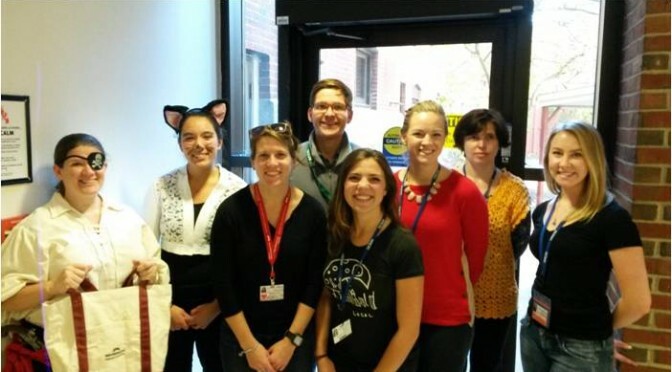 Here at Maine Medical Center Research Institute, we are very happy to be supporting Tufts trainees and working with many Tufts investigators here and in Boston to provide core facility services such as transgenic mouse generation. Did you know that many of our core facilities were established at Maine Medical Center through a special NIH program, the Institutional Development Award (IDeA) Program? The IDeA program was established by Congressional mandate in 1993 to help develop research infrastructure to support biomedical research in 23 states that historically have had a low level of NIH funding. Maine is one of those states. In fact, there was a time when 50% of NIH funding went to researchers in 5 states (Massachusetts being one of those heavily funded states! ), while the 23 IDeA eligible states together only received about 5% of all NIH funds. 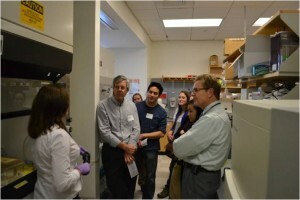 Over the last 23 years, NIH investment in biomedical research in Maine has contributed to a burgeoning biotech scene (http://www.mainebioscience.org/access_resources/bioscience-map-of-maine/) and a highly collaborative network of research institutes. 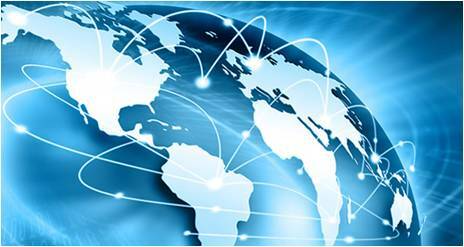 One of the components of the IDeA program is the Centers of Biomedical Research Excellence (COBRE). 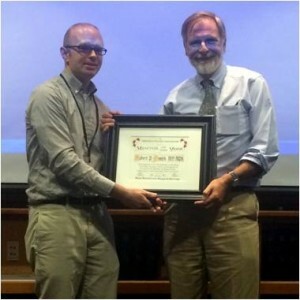 Maine Medical Center has been fortunate to have received two COBRE awards since 2000, one with the theme of Vascular Biology, and one in Stem and Progenitor Cell Biology. These awards have supported the recruitment of new junior investigators to Maine Medical Center (with appointments at Tufts University School of Medicine), and also the establishment and expansion of our core facilities. Please visit our website at mmcri.org, and find “Core Facilities” under “Research Services & Resources” to see if we provide services that could be useful to your research! 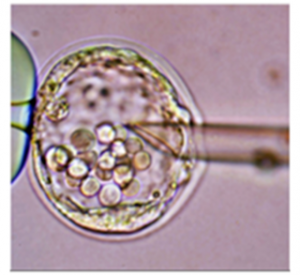 Microinjection of mouse fertilized oocyte. Our Mouse Transgenic Facility performs genome modification using standard transgenesis, gene targeting in ES cells, or CRISPR/Cas. In 2017, we will start to offer services for CRISPR/Cas project design and sgRNA synthesis. 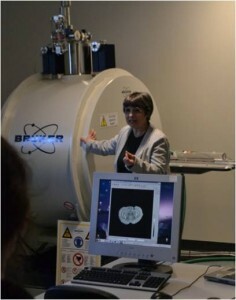 Imaging by microCT. We run a Scanco vivaCT40 for microCT imaging of bone, teeth, fat, and the vasculature. 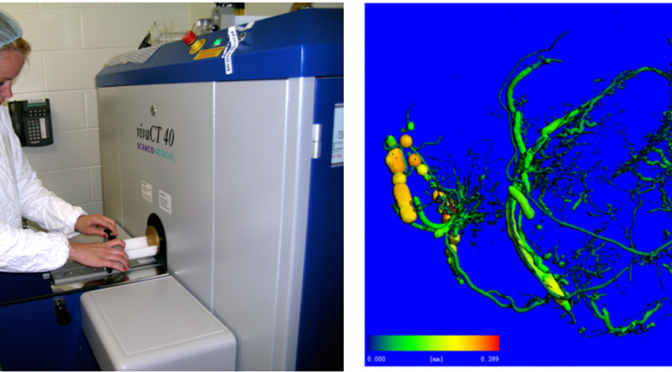 Image, above right, shows microfil perfusion of the vasculature of a tumor xenograft, used to quantify and measure tumor angiogenesis. Proteomics and Lipidomics Core Facility. We run a mass spectrometry resource with state-of-the-art protein and lipid profiling capacity. Recent studies include experiments to study tissues including adipose tissues and the skeleton, and how their protein and lipid content changes during metabolic disease. Histopathology Core Facility. We provide full services for tissue processing, embedding, sectioning, routine histology, and immunostaining. We work closely with our Maine Medical Center Biobank to generate tissue arrays for screening of human disease specimens from patients. 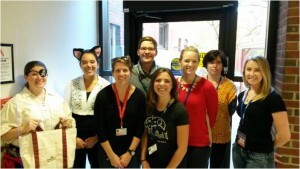 Notes from the North – MMCRI mouse transgenic expertise from the comfort of your own bench! 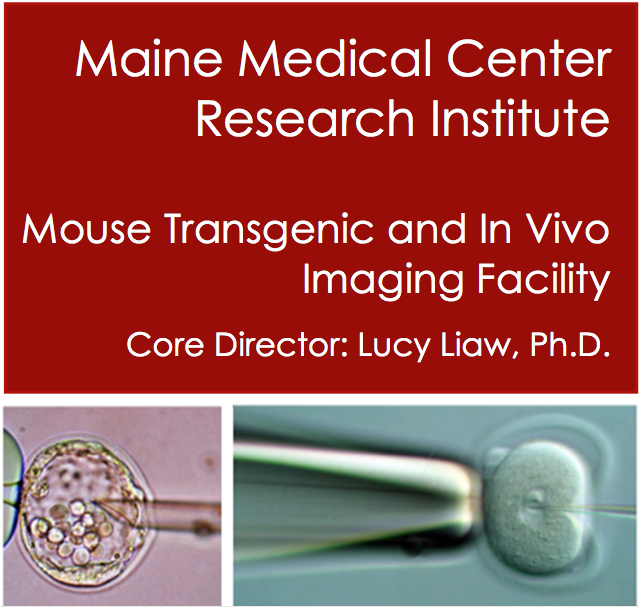 Whether you’re hunting for an engaging and useful elective as a first/second year student or soaking up last minute knowledge before jumping into the job/post-doc market, I recommend considering Mouse Transgenic Models and Advanced Mouse Transgenic Models coordinated by Dr. Lucy Liaw of Maine Medical Center Research Center and Tufts Sackler. The aim of the modules is to deepen understanding of molecular biology’s most popular mammalian model organism and help participants design thoughtful and effective in vivo experiments. 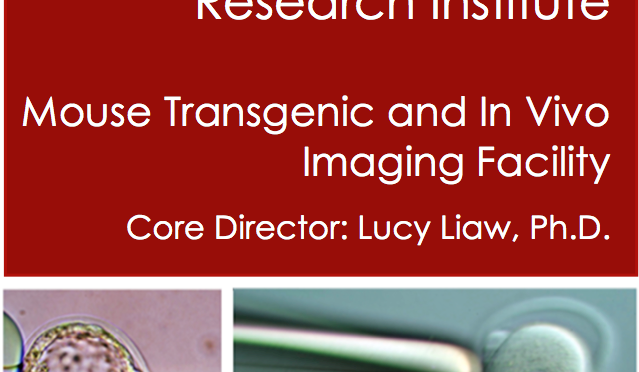 The first module giv es an overview of how to develop transgenic models of gene expression and gene targeting plus strategies for phenotypic characterization such models. 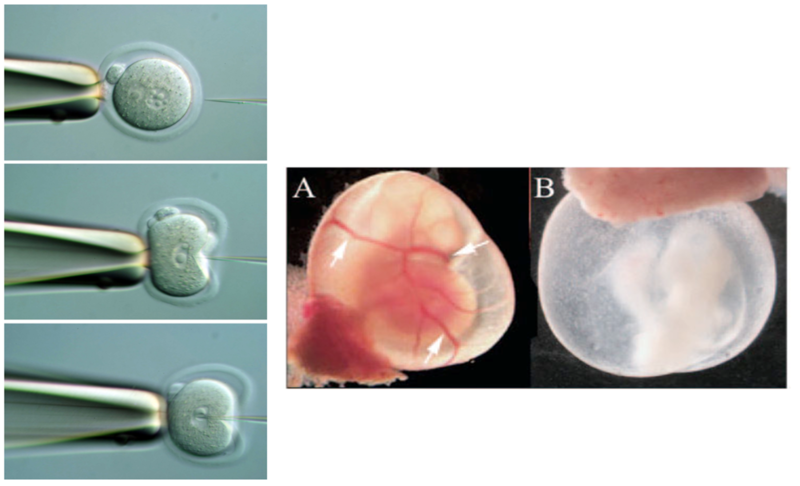 When I took the course for transfer credit in spring 2015 we learned basic transgenic and gene targeting construct design, conditional and inducible systems, early embryonic mouse development in the context of pronuclear and blastocyst injection, and the effects of genetic background on models. We utilized what we were learning over the course of the module to develop a strategy for making a mouse model of our choice (construct design through phenotype characterization) with discussion of our design at the start of each class. 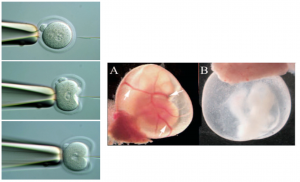 The second module focuses on cutting-edge techniques currently being used in academic and industry laboratories to generate transgenic animals. 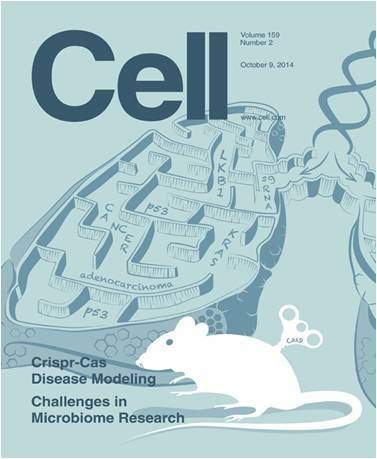 Last spring we reviewed genome editing via Zinc finger nucleases, TALENS, and CRISPR/Cas9. The assignment for this module was to revise our previous model employing the more recent techniques. Both modules utilized lecture, discussion of primary literature, and project development/presentation to ground participants in mouse transgenic biology. The pace was rigorous; we met for 2 hours twice a week for 3.5 weeks per module, yet easy to integrate with benchwork. These well established modules have been available through the UMaine graduate course catalog for four years and will be directly available to Sackler students starting spring 2017 (look up CMDB 0350 while browsing the Tufts SIS catalog). 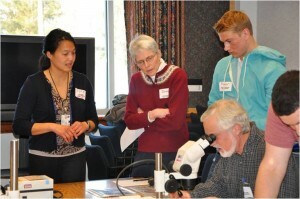 The UMaine Graduate School of Biomedical Science and Engineering students who have traditionally taken this course rely on a consortium of institutes across Maine for their training. Because of this, the Mouse Transgenics modules are designed to be highly compatible with teleconference style classrooms allowing excellent participant interaction and experience in telecommunication meetings (a skill not to be sneezed at in this era of global collaboration). Teleconferencing from 100 miles away into classes, meetings, and extracurricular events is all well and good, but sometimes you just feel the need to practice schmoozing in person. The Sackler Graduate Student Council holds really relevant and useful networking events, and much of the content of these events can be taken advantage of through a teleconference connection, but it is hard to beat the rapport that is established when chatting, or bemoaning, face to face with colleagues over hors d’oeuvres. 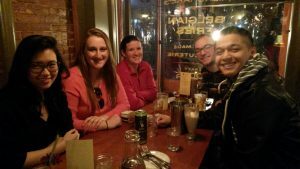 For anyone who does the bulk of their work away from the main campus of their organization it is imperative to find and cultivate local career enhancement resources. Not only does this give you access to opportunities in your local sphere, it also improves your connection with the members of the satellite facility. For Sackler students studying at the Maine Medical Center Research Institute (MMCRI) in Scarborough, ME this resource is available in the form of the MMCRI Research Fellows Association (RFA). Because MMCRI is a relatively small institute, we currently have about twenty principal investigators, we have a fairly small number of postdoctoral fellows and even fewer graduate students at any given time. The RFA was originally founded to serve both groups and has recently expanded to serve non-faculty scientific staff and technicians as well. These groups share many of the same needs in terms of networking and professional development events, so the inclusiveness of the organization has worked well for us thus far. One of our newest events is also one of my favorites. In the spirit of positive reinforcement we recognize and celebrate either a mentor or a pair of researchers (one technician and one academic) of the year. This occasion allows the RFA to show appreciation for mentors and colleagues who demonstrate superlative qualities. Appreciation in the case of researchers includes $500 from the RFA discretionary fund (supported by our fundraising efforts) to participate in further career enhancement. MMCRI may be 100 miles away from the biotech hub that is Boston, but we’re no backwater slouches when it comes to career enhancement and professional development! Maine Medical Center Research Institute (MMCRI) in Scarborough, Maine before joining the CMDB program or with faculty at Jackson Laboratories (Jax) in Bar Harbor, Maine before joining the Genetics program. 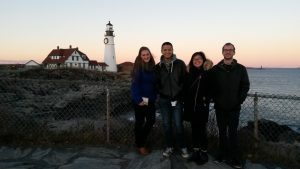 For TUSM students in the Maine Track Program immersion in the particular challenges facing Maine physicians starts with brief stints to Maine in the first and second years followed by a 9-month Longitudinal Integrated Clerkship in the third year. 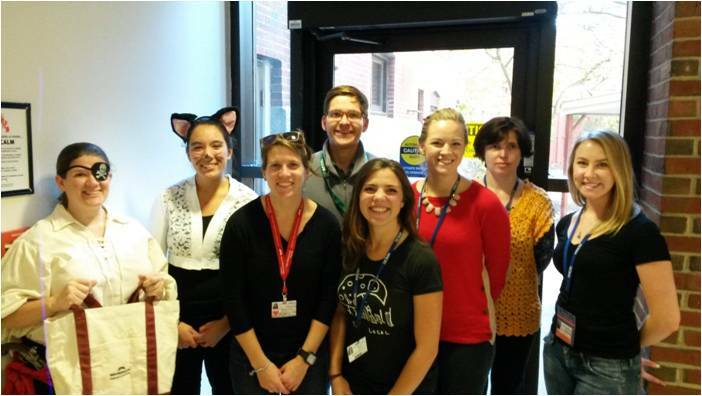 Acid Analysis, Molecular Phenotyping, Physiology and Behavior, and Clinical and Translational Research Services/Tissue Bank), see posters from Tufts and UMaine MMCRI grad students, meet the faculty, tour the building, and of course see green mice. research, Dr. Regan studied Breast Cancer Bone Metastasis by investigating mesenchymal stem cell (MSC) tumor homing and developed silk scaffold implants with therapeutic bone marrow MSCs that deliver anti-tumor proteins to breast tumors. 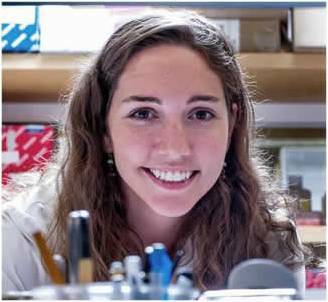 Her post-doctoral fellowship was in the lab of Dr. Irene Ghobrial at the Dana-Farber Cancer Institute/Harvard Medical School where she focused on understanding how multiple myeloma cells manipulate their bone marrow niche to support their growth and cause osteolytic lesion formation. She developed a 3D model of inhibited osteogenesis in silk scaffolds and examined the roles of abnormally expressed microRNAs in MSCs in this process. She also developed bone-targeted, bortezomib-loaded nanoparticles to modulate the bone microenvironment and make it less receptive to cancer cell colonization. 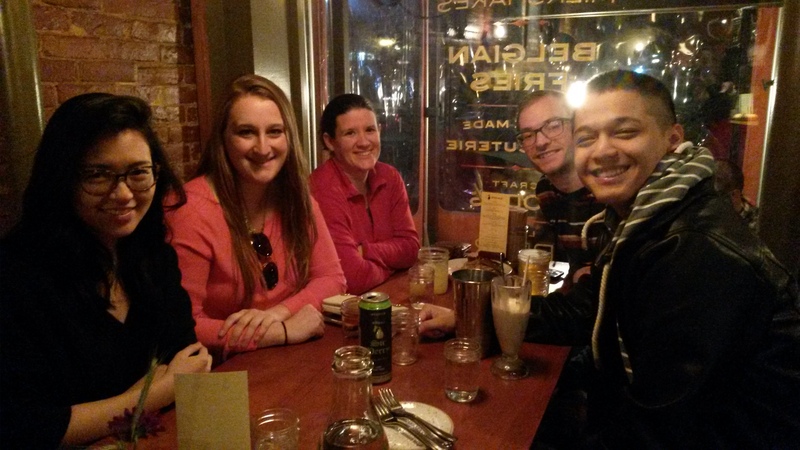 When you see Dr. Regan, ask her about her path to becoming a PI: it’s all about collaboration and networking folks! Collaboration is the name of the game up here in Maine, as research institutes scattered about the state are relatively small. As a fortuitous consequence, a culture of cooperativeness and the drive to reach far outside normal comfort zones to seek said cooperation has prevented research in Maine from becoming insular. As pressure by publishers for completeness and complexity in manuscripts mounts, partnerships between labs, and the skills to develop such partnerships, have become ever more indispensible. 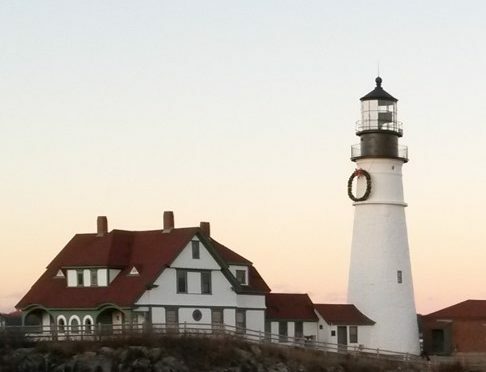 Remember, Boston had more snow than Portland last year so don’t fear the “winter, still winter, almost winter, and road construction” description of seasons in Maine: come see the Maine-Tufts partnership in action! Jessica Davis-Knowlton is a 3rd year CMDB student in the Liaw lab in MMCRI. Her thesis work focuses on the role of Notch signaling in smooth muscle cells involved in atherosclerosis.